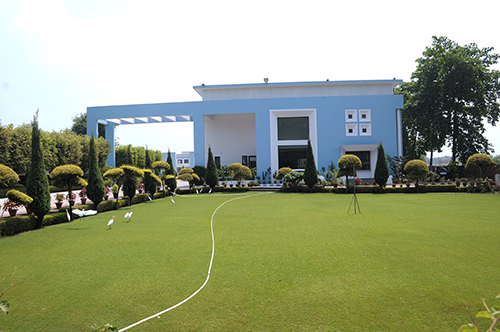 Brij Bhushan Lal Public School, Pilibhit Road, Bareilly was established by our founding father Shri Krishna Kumar Agarwal in 2008 with a mindset of providing lush green environment with a blend of modern techniques and novel, innovative methods to provide education to the new saplings. At present it is a comprehensive centre of learning and development from class I to Class XII, a Co-educational, English Medium, 10+2 (Science & Commerce) Senior Secondary School affiliated to CBSE: Central Board of Secondary Education, Delhi. The school is set with massive and magnificent earthquake resistant building along with adequate arrangements of disaster management like fire-extinguishers and a complete passage for fire-fighting vehicle to go around the school building. 24x7 water and electricity supply is ensured with two generator sets of 25 KVA and 140 KVA and 5 water purifiers installed to supply potable water at 57 water points. The school follows TQMS (Total Quality Management System) and is certified by ISO-9001-2015. Concept of PANCHSHEEL (ABCDE- Activity, Behaviour, Creativity, Discipline and Education) is properly implemented and managed for developing the child into a balanced multi-faceted individual. 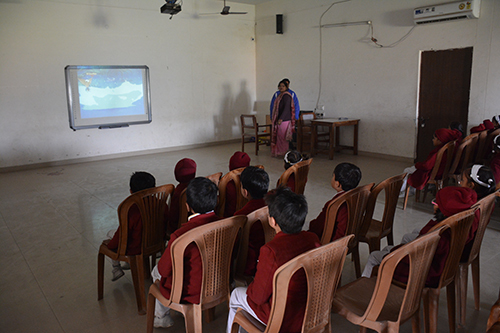 For the same, co-curricular activities are conducted every Saturday for all the students from class I to XII. Games and sports are regular features that run round the year and annual sports week is celebrated with zing and zeal involving students of all age groups. 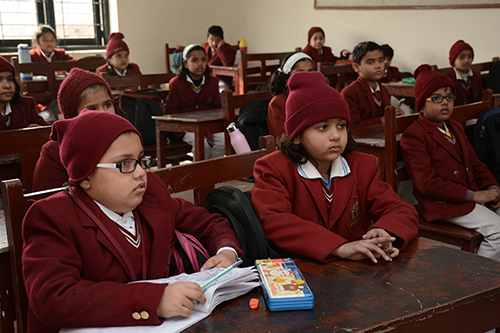 Brij Bhushan Lal Public School is a unique initiative that aims at providing holistic, quality and value based education to our children through an exclusive approach to learning, and empowering them to become better individuals, good human beings, good citizens and professionals. For the same the school manages a bouquet of qualified, efficient and committed teachers in its precinct. The school is known far and wide for its culture, discipline instilled into its students and security it provides to them. 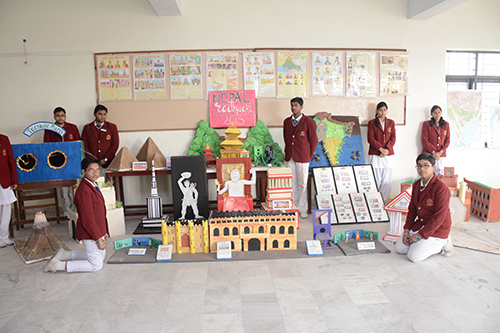 The school promotes students to participate in Science Programmes at state or national level such as Science exhibitions held by CBSE or any other recognized body. Education is perhaps the single largest factor that builds capacity for accumulation of knowledge, its understanding, application and dissemination in young minds. In the long term, it shapes the destiny of a nation. Infrastructure is one of the most important factors in determining if a nation will develop or stagnate. Infrastructure can be enormously useful if it is accompanied with educated civilians. We provide adequate infrastructure to our students for their safety and education. Audio Video Room is a big hall with three Air-conditioners on three sides. Besides, it has all necessary equipments like digital board, projector, light and sound system etc. More than 300 students can sit on chairs at a time. It stimulates the students to visually capture the more complex and elusive concepts and turn the abstract into concrete and also helps in improving concentration and comprehension. It provides resource material to the teachers to aid to their distinctive teaching style and needs. Assembly Ground is surrounded with trees all around. Students have enough space to stand class and section wise along with their class teachers to devote some time in the name of the Almighty and start their day with a positive note. It has a high stage of about 30x20 dimension to provide proper space for the students to perform the events class and house wise on their turn. The school building is gigantic in its panoramic view. It's next to impossible to capture it in one click or two. It's a fantastic work of architecture, constructed keeping the studies, hygiene and safety of the students in view. It is made in such a way that in the case of emergency it can be evacuated within 3-4 minutes and space is left all around so that fire brigade vehicles may reach anywhere in the building. Our campus provides the shelter for a scholar's soul to take refuge in. It allows for enhancing of theoretical knowledge as well as widening of the mental horizons. The ambience is serene as the eye takes in details of cool pastel shades and the mind registers a sense of tranquility. The sprawling campus has state of art facilities replete with a modern day library, big classrooms, well equipped laboratories, dispensary, canteen, impressive staff rooms and admin block. Class rooms are big and spacious and airy. They have seating arrangements for 40-45 students at a time with comfortable furniture on which students may sit with proper posture. Each class room has a cabinet for class teachers to keep their teaching material. Class rooms for senior students have white boards and podium as a special mention. Dance Room is located at a safe corner of the building in such a way that it doesn't hamper the studies of the rest of the school when the students are at practice for their better performance. It is spacious enough to give space to students for their free movement for all dancing postures. To enhance the learning ability and skill, the school has an independent laboratory system. Six state-of-the-art labs include Physics, Chemistry, Biology, Mathematics and two labs of Computer Science - one for Junior students and other for Senior students to perform their practicals. "We should not ask who is the most learned, but who is best learned". 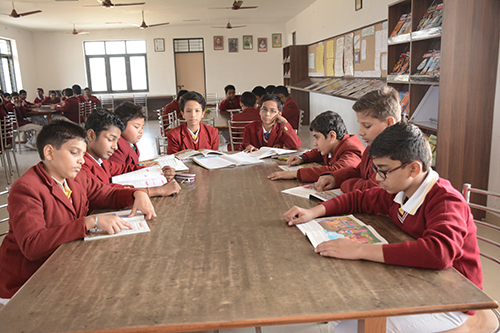 The school believes that every individual is a learner throughout his life and there is no better way to gain knowledge and wisdom than a library which has proved very useful in encouraging students to read the best of the books by the best of the authors. We have a well equipped library with large stock of good books including Encyclopedias, Fiction, Reference Books etc besides large number of magazines and journals. 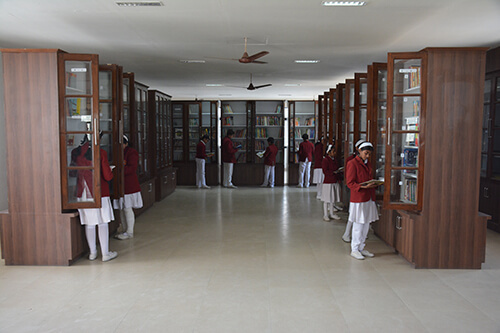 Library is managed by a School Management System which includes computerized record of issue and reciept of books helping the Librarian, Teachers and Principal to keep a track of the books read by any child in the school. The system of bar coding has been initiated in the library to facilitate the accession process, the stock taking and keeping track of books in the library. It has comfortable furniture where students can sit and read. It has also been provided with computers and internet facility. All children love to create art and make things. In younger children playing with arts and crafts inspires creativity which helps them to focus their mind and complete a set task while older children can develop an understanding of artistic and drawing skills that may add to their future educational choices. The school provides a big room for Art & Craft Activities giving space to student's creativity. Our school playground is engineered with high-quality material allowing players to deliver outstanding performances. It is great fun watching the practice sessions of rebounding shots and free-throws. Our playground is action packed where our children develop physical coordination, strength and flexibility. It is full of beautiful greenery all around one finds soothing to the eyes and serves as a boon for the ecological system. 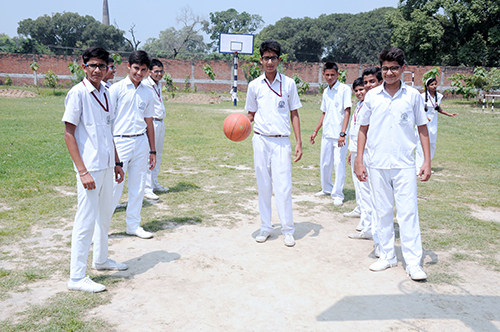 The school takes special care of physical health and games and sports activities of students. 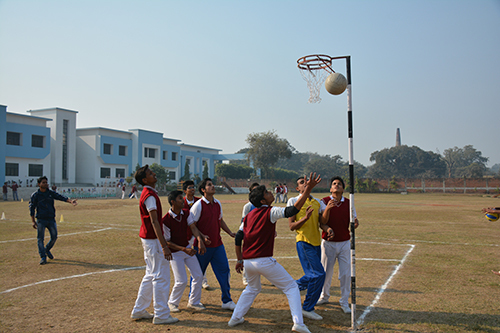 Under the care of trained physical education teachers and coaches, opportunity is provided for various sports & games such as Cricket, Tennis, Badminton, Gymnastics, Athletics, Swimming, Yoga, Aerobics , Karate, Taekwondo, Roller Skating etc. The achievement of the school in the field of games and sports is of very high order. With the conviction that a healthy mind thrives in a healthy body, we aim at participation of each child in at least one game or sport.